Recently, I visit some inquiry platform and forums and just found many people asked this kind of question “Why I couldn’t import our iTunes movies to my iMovie?” “Could I somehow import iTunes movie into iMovie to cut it?” Actually, you need to get a well known of iMovie and iTunes. Now I will explain in detail for people who have question about this problem. First let us get familiar with iTunes and iMovie. No matter your iTunes movie is purchased or rental, it is M4V format with DRM protection. There is limit to play iTunes video on non-Apple devices. If you would like to play it on other devices, you must remove DRM protection and then convert it to other formats. (Tune4Mac iTunes Video Converter Platinum could do this). The following article will talk about this point. You should have realized why your iTunes movies can’t be imported into your iMovie. Yes, it’s just because of the DRM protection. How About iMovie and What Formats It Supports? After you realized above problem, please do not be happy too earlier. That is because someone will found one normal video without DRM protection still couldn’t be imported to your iMovie successfully. Why? That is because those people don’t know iMovie only supports certain formats, not all video formats. When you couldn’t import movie to your iMovie, please check if the the format is compatible with iMovie. 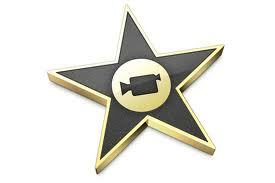 If you want to import iTunes video to iMovie, you can firstly convert the video into video formats supported by iMovie. Actually Tune4Mac iTunes Video Converter Platinum could not only remove DRM protection but also convert movie to any format you want. It is an all-in-one iTunes video converter and easy to use. If you are a Mac software addicted or iTunes frequent customer, you could go to Tune4Mac official website:http://www.tune4mac.com to get much more you want. That must bring you much more amazing. Actually, Tune4Mac iTunes Video Converter have many other functions. It not only import M4V movives to iMovie but also can convert both purchased and renal iTunes movies to many other popular format such as MOV, MP4, AVI, FLV, MPEG ect. When you choose rental movies to convert, you will find you can play these movies on most players after conversion, most of important, the movies which you convert will not expire, you can keep it forever unless you delete them. Then what? Try Tune4mac iTunes Video Converter Platinum now! To remove the conversion limitation of 1 minute free trial, please purchase the full version ( $69.95 $44.95).